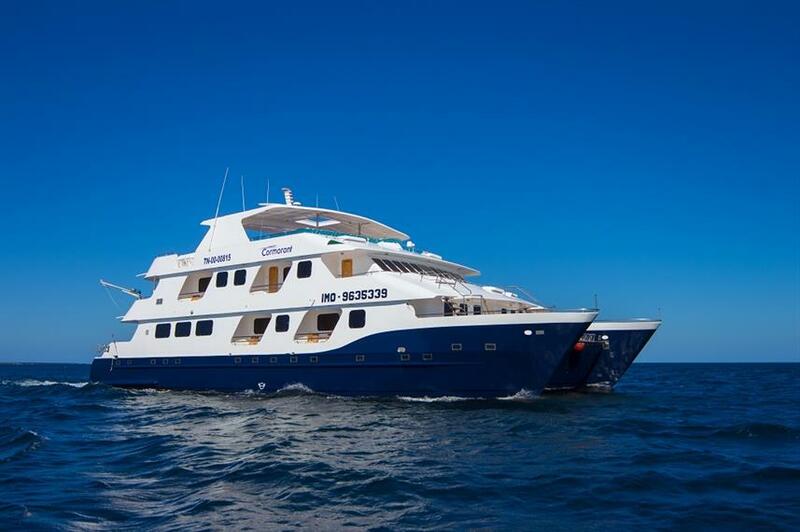 Join the Cormorant catamaran for an exciting cruise to the Galapagos Islands. 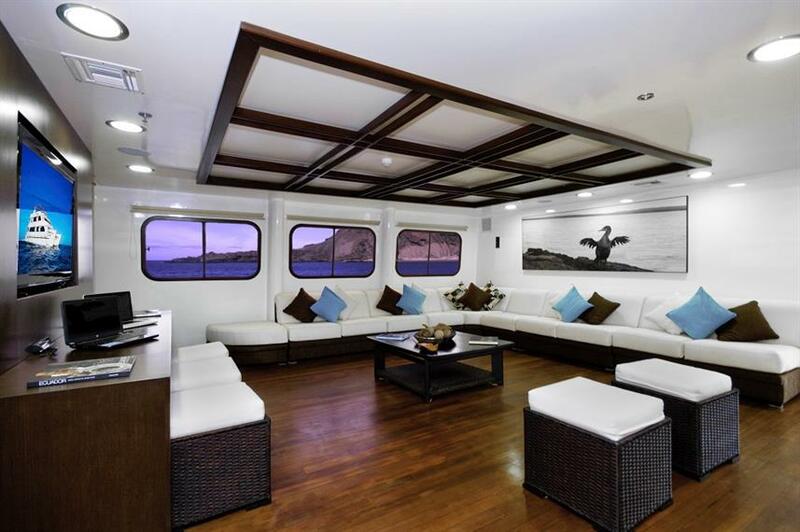 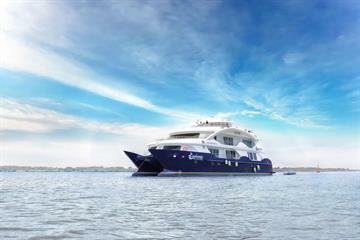 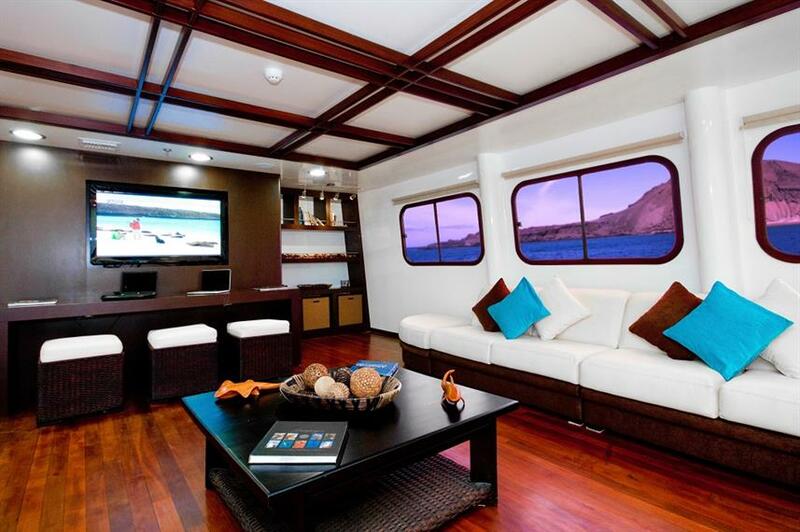 Offering modern luxury, the Cormorant Galapagos was built for comfort and stability. 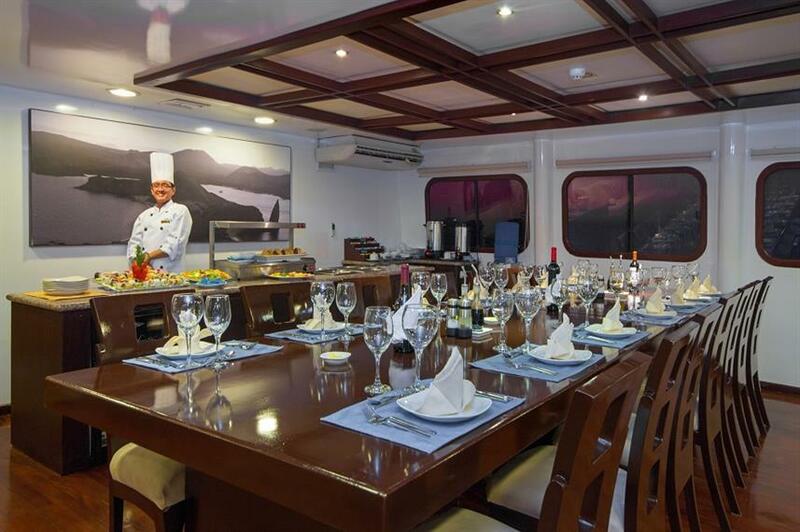 She caters to a maximum of 16 guests in 8 cabins. 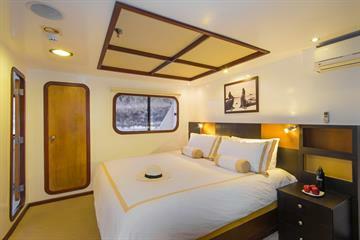 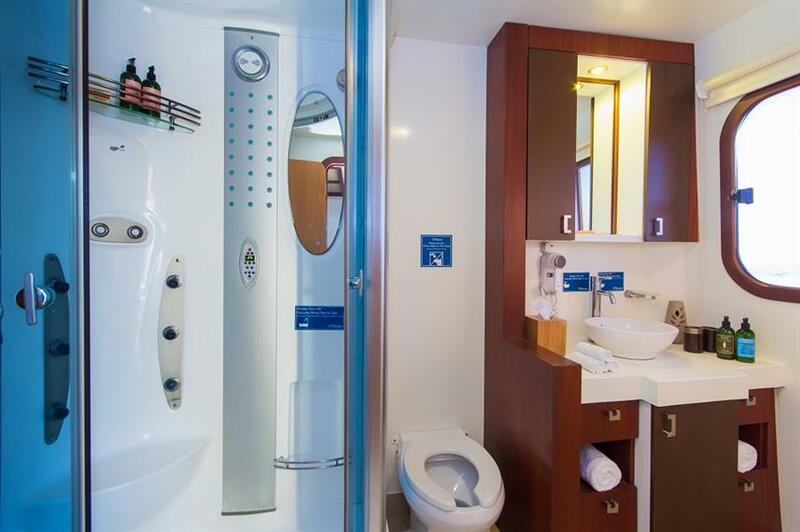 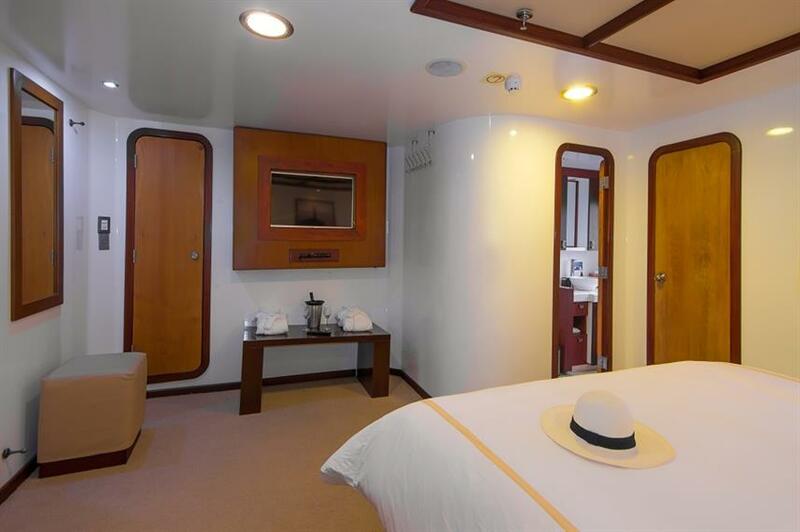 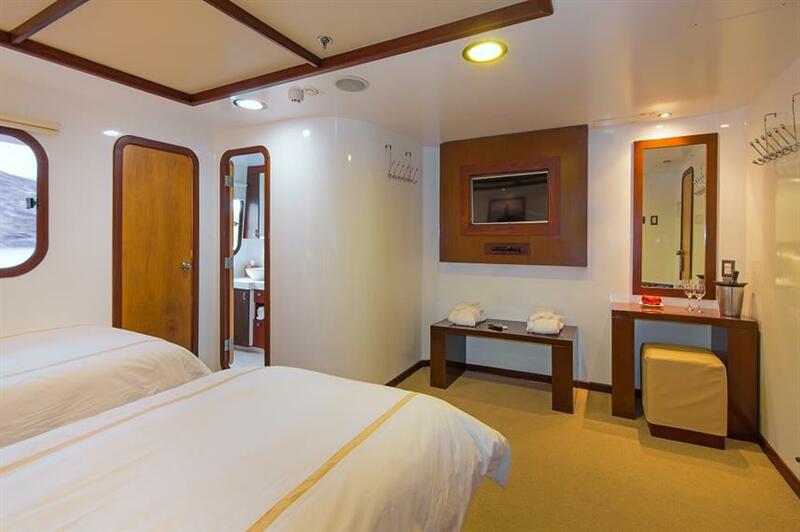 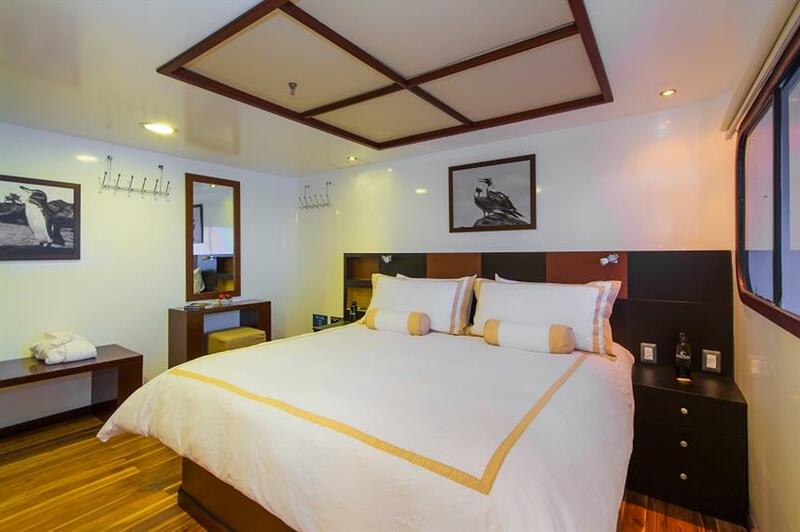 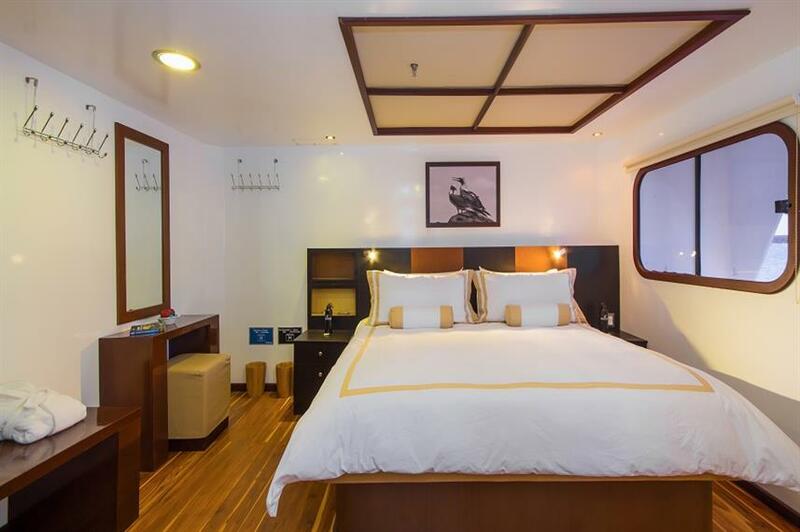 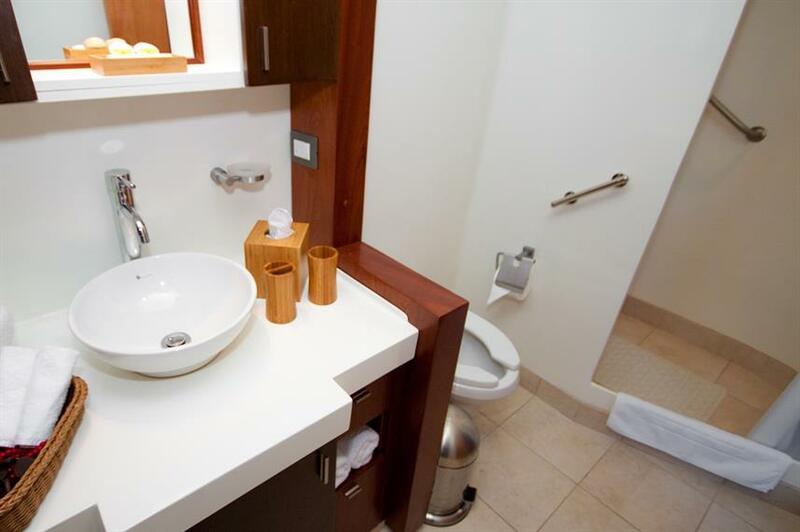 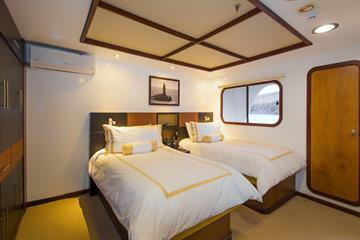 Each stateroom is en-suite with AC, ample storage space and it's own private balcony. 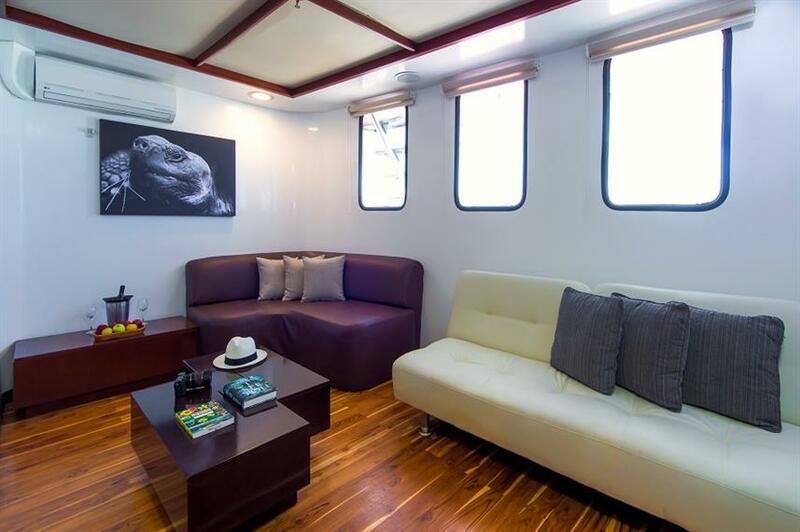 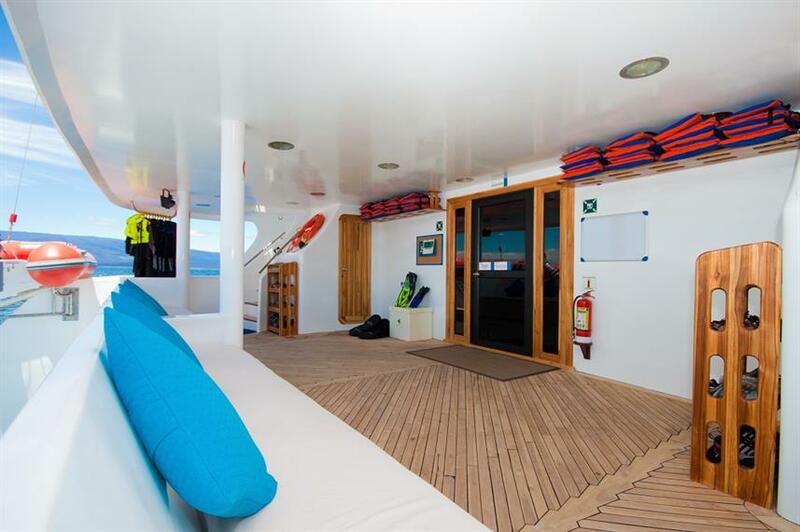 There are two suites located on the main deck which also have an extra lounge/seating area. 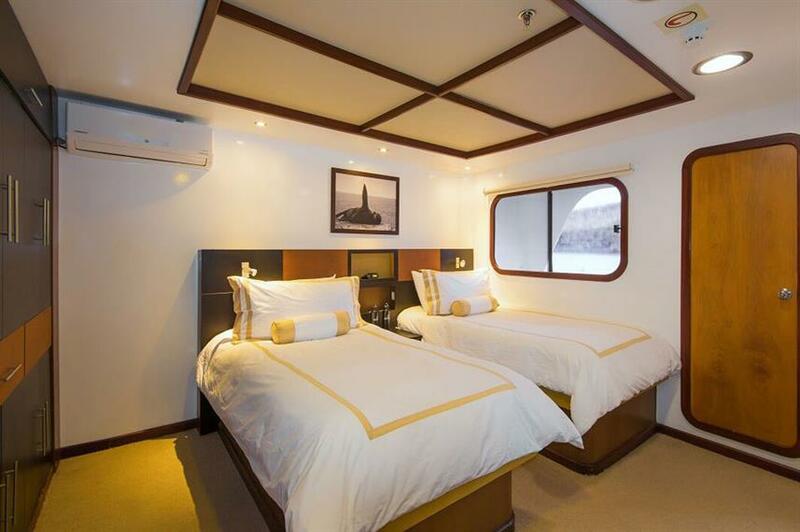 The 4 cabins located on the upper deck have interconnecting rooms, making them ideal for families. 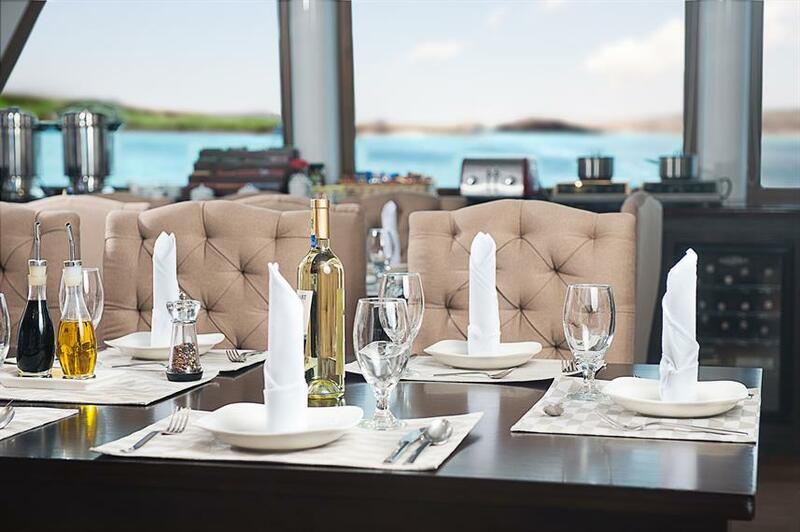 Social areas include the tasteful indoor dining and lounge area, as well as an al-fresco dining area, perfect for enjoying a delicious meal with stunning views and a refreshing sea breeze. 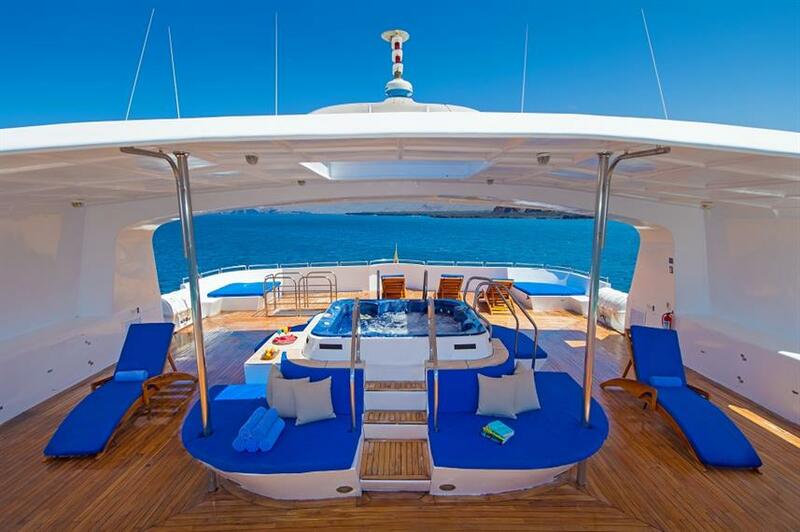 The sun deck has comfortable loungers, a shaded area and a hot tub. 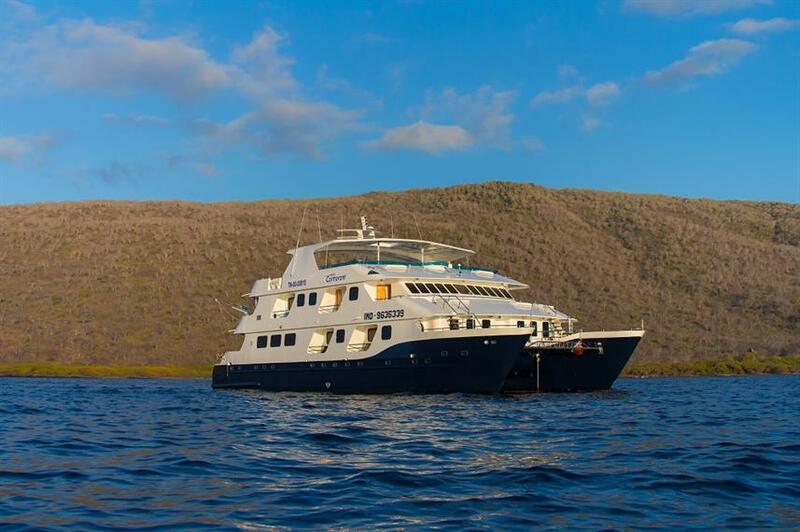 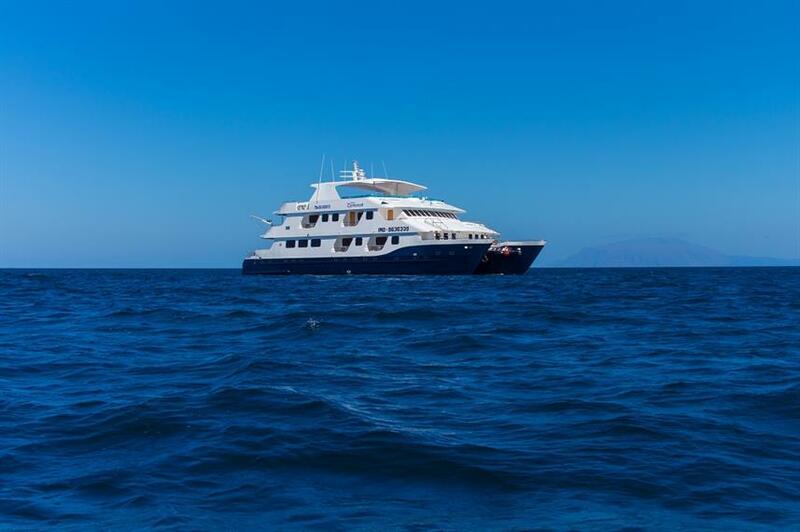 The Cormorant offers year-round adventure cruises to the world-famous spots of the Galapagos Islands. 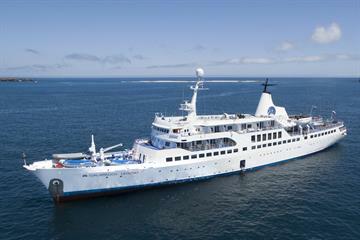 With a choice of 4, 5, 8 and 15-day tours, there is something for everyone. 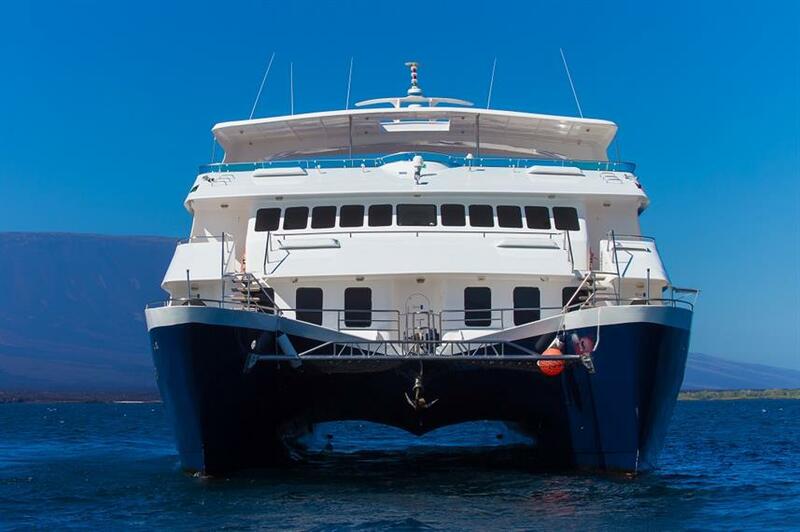 Each tour is led by a qualified Galapagos National Park guide, who will share their passion and knowledge of the area with you. 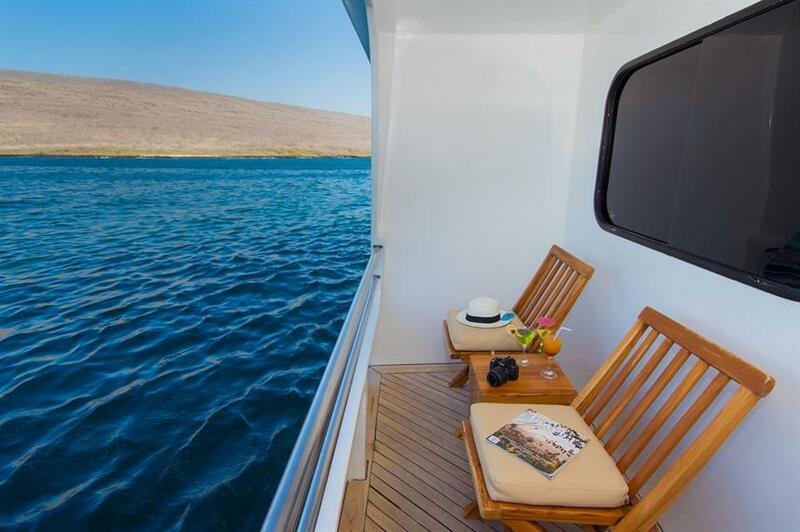 Visit the pelican filled beautiful white-sand beaches of San Cristobal, kayak with sea lions at Gardner Bay, and hike up Pinnacle Rock to be rewarded with the most famous view in the Galapagos Islands. 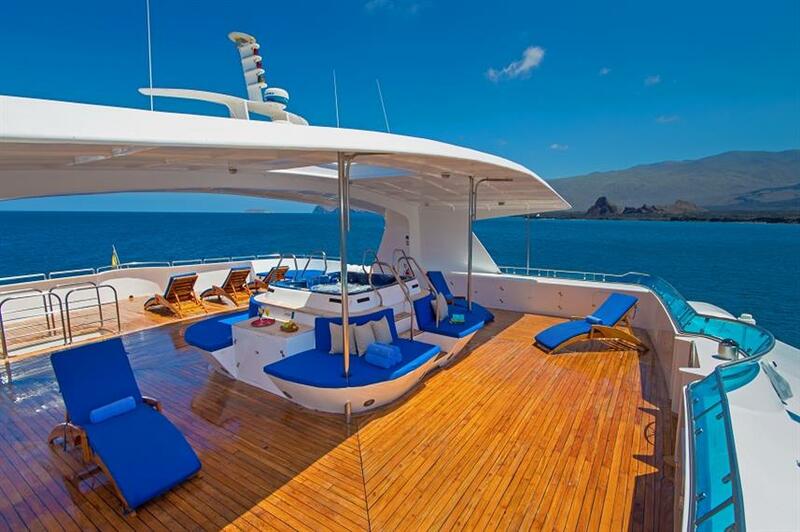 Whichever itinerary you choose, it promises to be a trip of a lifetime. 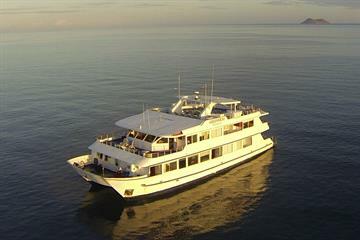 Spaces fill up fast, so call us or book online today to reserve your spot. 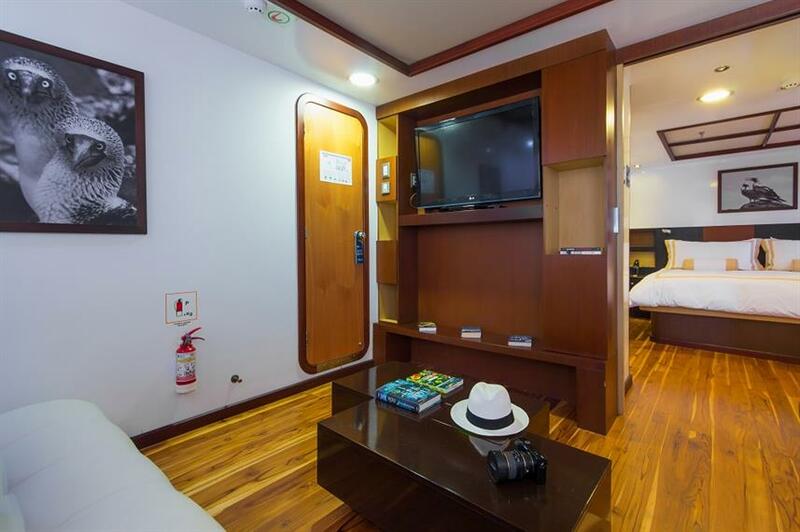 Included: VAT, Airport Transfer, Drinking Water, Tea & Coffee, Full-Board Meal Plan (All meals), Snacks, Rental Gear, Naturalist Guide, Cabin Towels. 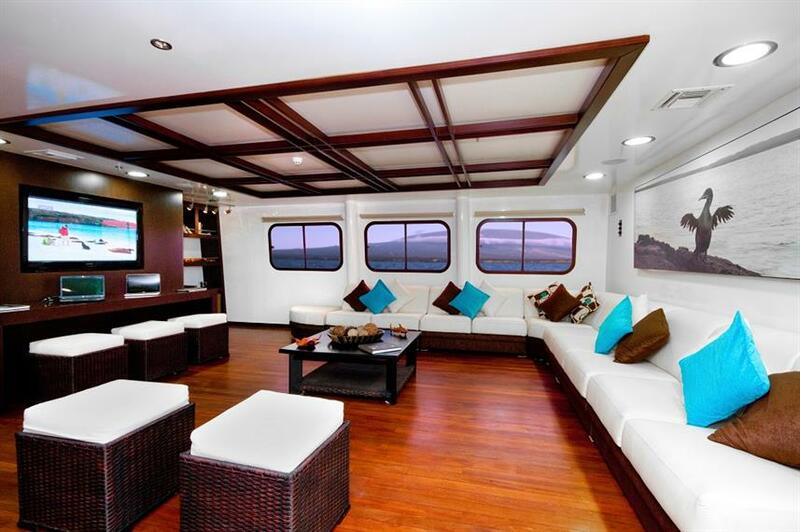 Optional Extras: Gratuities, Local Flights, Alcoholic Beverages, Soft drinks. 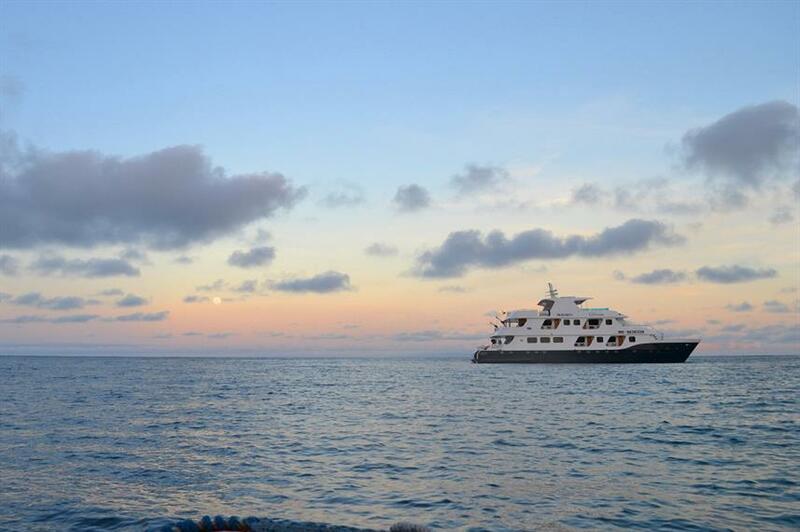 we had a wonderful global experience.